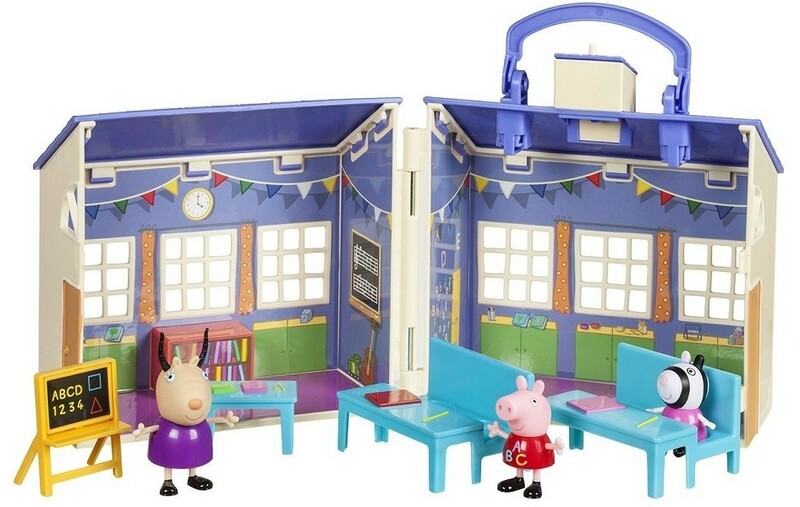 It's time to go back to school with Peppa Pig and her class! 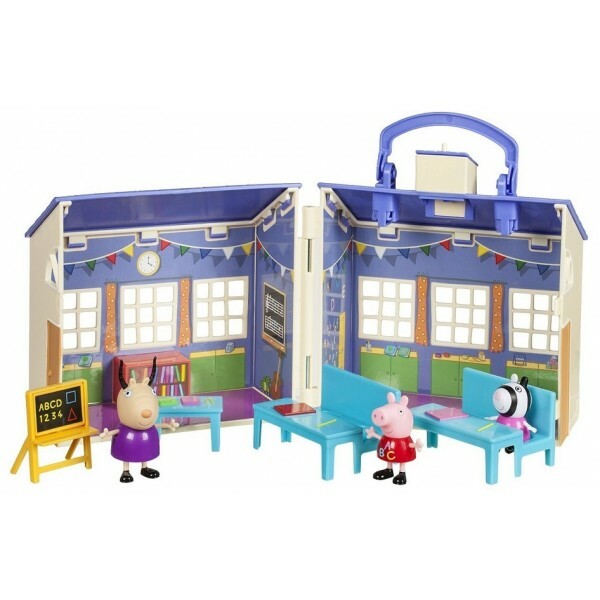 Ring the bell to call Peppa and friends to the classroom, then get to the books with the accessories and figures. 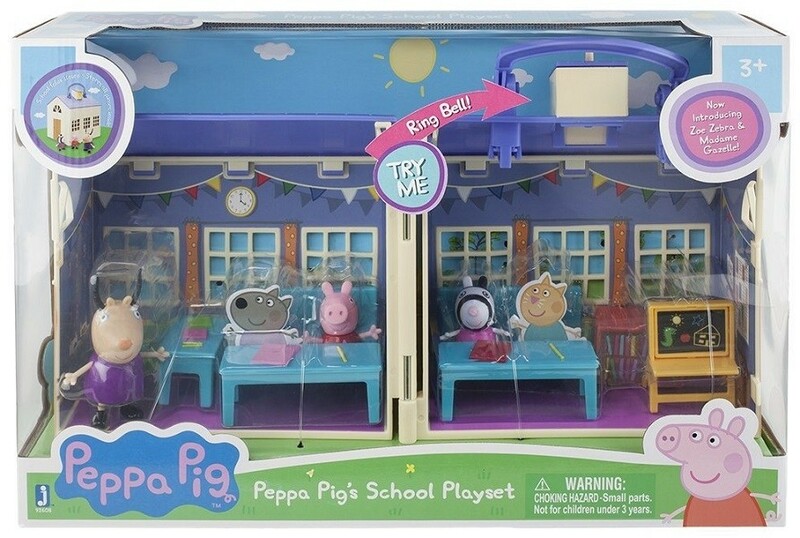 Peppa Pig (in her school outfit) and Zoe Zebra can sit at their desks while Madame Gazelle is teaching. Flip the chalkboard over for double the fun! When playtime is done, all of the pieces pack neatly into the school, and the attached handle makes it easy to tuck away or bring along for playtime on the go. 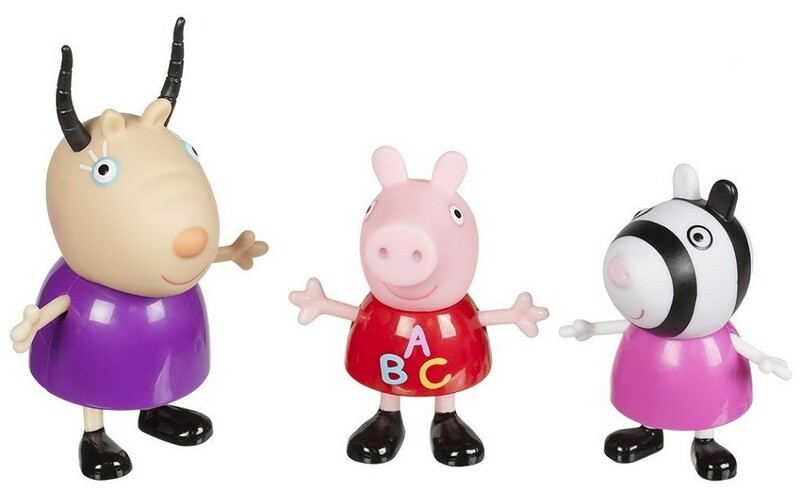 For more fun products featuring this popular character, visit our Peppa Pig Collection.